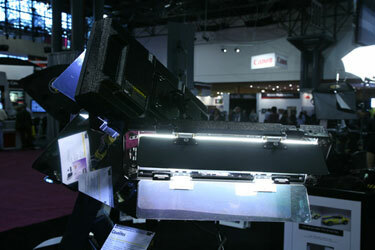 Lowel lighting Caselite 2 and Caselight 4, fluorescent lighting for digital photography on location. The Lowel Caselite 2 and Lowel Caselite 4. At Photokina, PMA, and PhotoEast trade shows it was possible to see all the new fluorescent lighting for digital photography. Lowel is very clever to have entered this market. 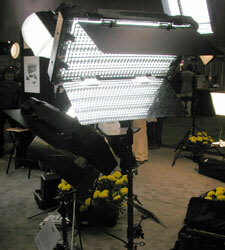 The Lowel Caselite 2 and Lowel Caselite 4 are portable fluorescent fixtures for taking out on location. Since FLAAR does digital photography around the world, this is the kind of lighting we are especially interested in. There are many kinds of Lowel Lighting in addition to that we are able to picture here. To get additional information, telephone, toll free 1 800 334-3426; for questions on equipment, e-mail equipq@lowel.com; for general questions, email info@lowel.com. FLAAR has used Lowel Lighting for over 34 years (Lowel DP, Lowel Rifa) and those fixtures are still working just fine. We recommend this brand. They are nicely designed and hold up well. Design updated May 26, 2008.